Over the past few years, Australia has welcomed an increasing number of guests from the international beer community. Whether itâs for celebrations like Good Beer Week or to judge in competitions like the Australian International Beer Awards, theyâre also often coming down here just to see firsthand the change sweeping the nation. And more often than not, they like what they see. So much so, in fact, that ideas are being hatched as to how they can be more involved. Danish gypsy brewer Christian Skovdal Andersen last year formed a collaborative brewing company, Edge Brewing Projects, with local brewer/importer Northdown and now another enamoured visitor is taking things a step further. In what must be one of the more striking examples of a visitor falling for the Aussie beer world’s charms in recent times is the news that Leonardo di Vicenzo, founder of Italyâs Birra del Borgo, is about to open a brewery in Sydney alongside the team behind Experience It Beverages. Called Nomad (Please Note: the original article stated that the brewery was to be called Nomads, but it has now been changed to Nomad â apparently, they were told the original name sounded a little too much like a bikie gangâ¦), itâs an appropriate moniker for a company whose owners all live in Italy but spend much of their time travelling the world, working with a lot of big name breweries in a variety of ways. But despite this, Nomad will be locally focused, with the decision to set up in Brookvale not as unusual as it might at first seem. Kerrie and Johnny Latta, the husband and wife team behind Experience It, are Aussies and former residents of the Northern Beaches. That was before they moved to Italy and started sending containers of international craft beer back to Australia. Youâll have been a beneficiary of their work if youâve recently drunk the likes of Deschutes, Sixpoint, Magic Rock, To Ãl and a swath of Italian micros – including Birra del Borgo, with whom theyâve formed a great friendship. Leo is no stranger to these shores either. Heâs been at past beer weeks, hosted dozens of events in several states, brewed the gloriously named Myrtleâs Bunga Bunga Party for GABS and collaborated on My Anchovia with The Wheaty. And, just last week, while on reconnaissance for the impending brewery, he helped take beer into the wine world for the second year at Sydneyâs Rootstock festival. Heâs clearly into whatâs happening Down Under. In many ways, that makes Nomad an ideal partnership. Leo holds the requisite brewing knowledge, including how to build a brewery, while Kerrie and Johnny know the local market and have the distribution covered. Between them, they can brew good beer then get it to you in good condition. And it shouldnât be too long until that starts to happen, with the new brewhouse due to arrive in March. Leo will be coming along with it then staying for three months to help get it up and running. âAnd then,â he says, âI plan to be back here at least every 45 days.â Which begs the question: whoâll be running things in the meantime? 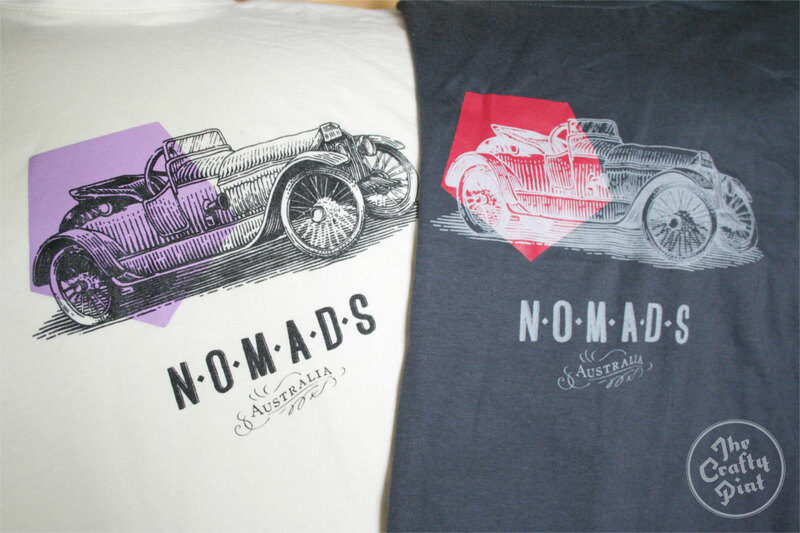 The brewer tasked with keeping the Nomads on track day to day will be Brooks Caretta. 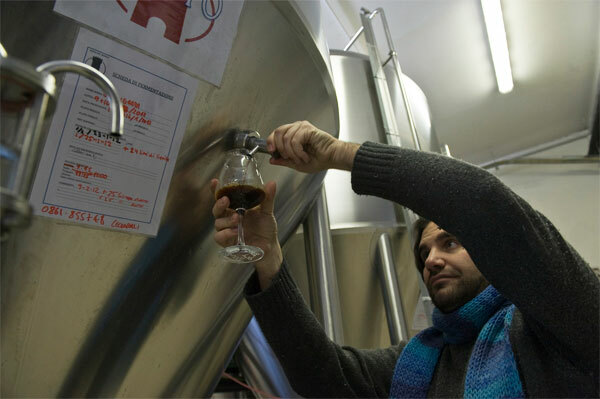 Heâll also be arriving in March, but on a permanent basis, and will be bringing with him some enviable brewing credentials, having been the first head brewer at New Yorkâs Eataly Birreria and more recently brewing at Birra del Borgo. With the Eately project being a joint venture between Leo, Teo Musso of Italyâs Baladin Brewery and Sam Calagione of DogFish Head, itâs not a bad set of tutors from which to garner some hands-on experience. All things going to plan, heâll be putting his skills to the test in Brookvale by April. At this stage the core range is likely to consist of three beers, and although theyâve mocked up some initial labels theyâre keeping coy about whether those will be the first beers to roll off the line. The other thing that seems a definite on the âto doâ list is exporting – and not just their own product. With both sides of the partnership having connections all over the beer world and a handy grasp on supply chain management, itâs hoped that, in time, Nomad will become a vehicle to help spread the word about Australian beer – and the beer itself – far and wide. With those sorts of ideas on the horizon, itâs probably for the best that this Nomad has decided to call Australia home.